I really love Christmas and I love to make cards for Christmas, especially in colors that are usual lol! 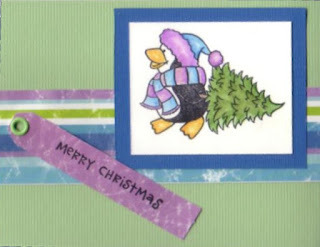 I like these little penguins and all the Christmas and winter fun they are having! 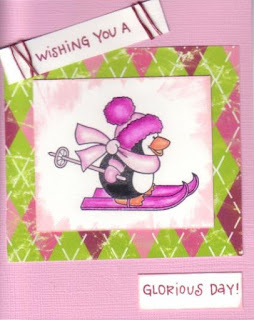 I mean what isn't to like about a penguin that wears a scarf and a hat lol! 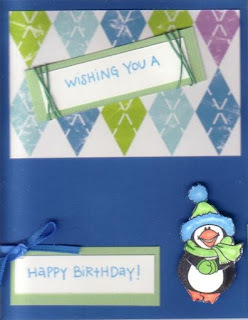 And since I am one with a December birthday, a penguin card is something I can relate too!